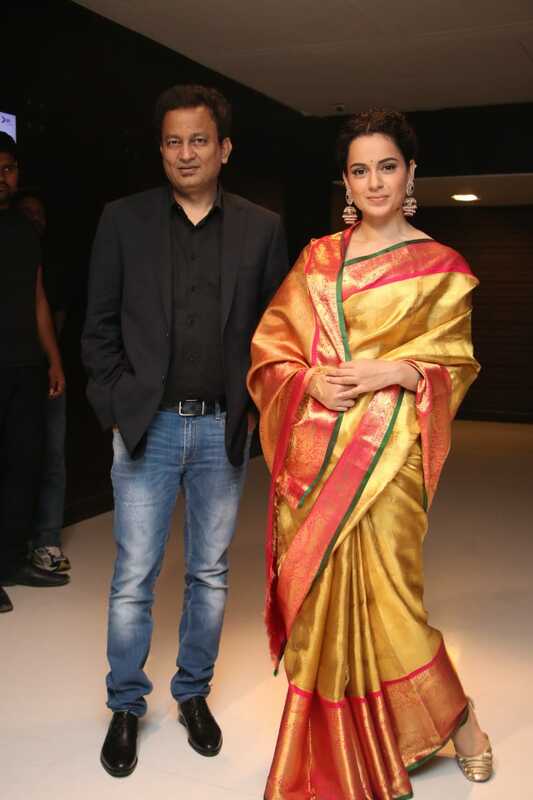 The special invitees involving Tamil Press and Media were stormed by the fascinating trailer of Kangana Ranaut starrer ‘MANIKARNIKA TAMIL TRAILER’. Well, the instant inquisitiveness that popped up in everyone’s minds was all about the challenges that the entire team would have gone through while creating this epical drama. Produced by Zee Studios in association with Kamal Jain at a whopping budget, the film is directed by Radha Krishna, Jagari Amudi and Kangana Ranaut, which is scheduled for worldwide release on January 25, 2019. The most admired Kangana Ranaut made her graceful presence with the traditional Tamil attire, which turned the spotlights on her instantly. Here are some of the excerpts from the media interaction session that happened in Chennai. Winding up with the media interaction session, she was asked on what other period character she loves to enact on the big screens apart from Rani Laxmibai. She instantly gave a surprising and suspense element saying , “I aspire to make a film, which would be mother of all epics, say, somewhere 10,000 years back in time, but I will not revel it now.